Our Farmyard Mix has been formulated to meet the needs of people requiring just 1 grain mix to feed a variety of animals. 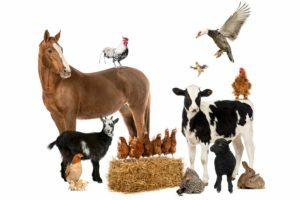 From horses and cattle to goats, sheep and poultry; 1 grain mix does the lot. High in protein and energy with added molasses farmyard is made from a blend of Barley, Sorghum, Corn, Soya Meal, Dicalcium Phosphate, Calcium, Salt, Vitamins & Minerals carefully blended to meet the dietary needs of your complete range of animals.